Are there diets to fight depression in women? This week’s health tip reminds me of the story of 6 blind men and an elephant. You probably remember the story. One blind man grabbed a leg and declared that an elephant is like a tree trunk. Another blind man grabbed the tail and declared that an elephant was like a rope – and so it went. Each blind man had a different version of reality, but none of them really knew what an elephant was like. Sometimes science is like that. Every scientific study is designed to test a specific hypothesis, and sometimes we scientists can become limited by the hypothesis we are testing. We only see what we are looking for. We become like the blind men trying to figure out what an elephant really is. That thought came to mind recently when one study claimed that an anti-inflammatory diet decreased the risk of depression by 26% in women, and another claimed that increased flavonoid intake was the secret to decreasing depression in women. Of course, both of those reports came on the heels of another study a few months ago claiming that a Mediterranean diet was the secret to decreasing depression. 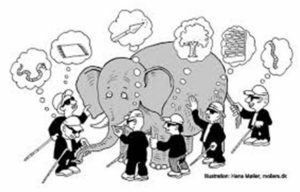 If all of this sounds confusing, keep that image of the blind men and the elephant in your mind for a while. I’m going to come back to the elephant later, but let me start by evaluating the merits of the two most recent studies which claim there are diets to fight depression in women. The first study (Shivappa et al, British Journal of Nutrition, doi:10.1017/S0007114516002853, 2016) was designed to test the association between the anti-inflammatory potential of their diets and the risk of depression in middle-aged Australian women. The study followed 6,438 women with an average age of 52 for 12 years. Self-administered surveys were sent to the participants every 2-3 years (most participants completed 5 surveys during the study). A Dietary Inflammation Index (DII) was calculated based on the food frequency portion of the surveys. Depression scores were calculated based on their answers to 10 questions from a well established depression rating system. This was a well designed study and the results were fairly straight forward. Those women consuming the most anti-inflammatory diets were 26% less likely to develop depression than the women consuming the most pro-inflammatory diets. The second study (Chang et al, American Journal of Clinical Nutrition, doi: 10.3945/ajcn.115.124545, 2016) was designed to test the association between flavonoid intake and depression in middle aged and older American women. This study followed 82,643 women ages 36-80 for an average of 10 years. Flavonoid intake was calculated based on food frequency questionnaires administered every 4 years. Depression was assessed based on several well established ratings systems. Women who consumed the largest amounts of flavonoids were 7-10% less likely to develop depression than women consuming the least flavonoids. When the study was broken down into flavonoid-containing foods, citrus fruits appeared to be particularly beneficial. Women consuming >2 servings per week were 18% less likely to develop depression than women consuming <1 serving per week. Tea also scored high in their analysis. Women consuming >4 cups per day were 12% less likely to develop depression than women who rarely or never consumed tea. While those flavonoid-rich foods stood out, the authors emphasized that there were no “magic” foods. It was a composite of all flavonoid containing foods that was related to lower depression risk. The effect of a flavonoid-rich diet was particularly beneficial for older women. For women aged 65 or older at the beginning of the study, high flavonoid intake was associated with a 17% lower risk of developing depression. I have just described two very well designed studies on diets to fight depression in women. One concluded that an anti-inflammatory diet reduced the risk of depression while the other concluded that diets rich in flavonoids decreased the risk of depression. I have previously described studies suggesting that omega-3 fatty acids decrease depression risk in women and that consuming junk food increases depression risk . Other studies have suggested that a Mediterranean diet may significantly reduce depression. If you are looking for a natural solution to recurring depression, these individual reports are probably confusing and overwhelming. I call it the “study du jour” syndrome. It can lead to paralysis. You just don’t know what you should try first. What if these individual studies were like the blind men trying to describe an elephant? Perhaps we need to step back and see if we can find the commonality in all of these studies. We need to look for the elephant. For example, we might start by asking what is an anti-inflammatory diet? It turns out that diets rich in fruits, vegetables, fatty fish, olive oil and legumes are anti-inflammatory, while diets rich in saturated fats, cholesterol, and refined carbohydrates are pro-inflammatory. In short, the anti-inflammatory diet is very similar to the Mediterranean diet, and fully consistent with the reported benefits of omega-3 fatty acids. The pro-inflammatory diet, on the other hand, perfectly describes a junk food diet loaded with fat, cholesterol, and simple sugars and are not diets to fight depression. What about diets rich in flavonoids? What are those flavonoid-rich foods? It turns out that flavonoids are found primarily in plant foods, and fruits, vegetables, and whole grains. Beverages such as tea and coffee are particularly good sources. 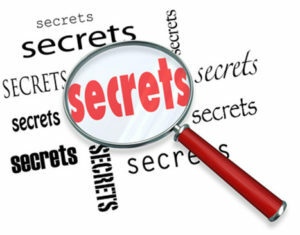 So the secret is that there is no secret. Your mom was right all along. Eat your fruits, vegetables and whole grains. Take your fish oil. Take a vitamin supplement to make sure you didn’t miss anything. Avoid the junk foods. You’ll be healthier, and you’ll be happier. Include these in your diets to fight depression. When considered individually these studies may seem confusing. However, when you consider them altogether the evidence is overwhelming. A good diet can significantly reduce your risk of depression, and a bad diet can make your depression even worse. Of course, diet alone will not be enough to prevent depression in everyone. A more holistic approach would be to include exercise, socialization, and some stress reduction practices. Whether stress reduction occurs through yoga, meditation, counseling or other practices will vary from individual to individual. Of course, if your depression is severe, professional help may be needed. I regard anti-depressant medications as a very last resort, but they can be life savers for some people. So, with the inclusion of the right foods, the above studies seem to show there are diets to fight depression in women. One study concluded that an anti-inflammatory diet reduced the risk of depression in women. Another study concluded that a diet rich in flavonoids reduced the risk of depression in women. Other recent studies have concluded that diets rich in omega-3s and Mediterranean diets decrease depression risk in women. Another study concluded that consuming junk foods significantly increased depression risk. Of course, diet alone will not be enough to prevent depression in everyone. A more holistic approach would be to include exercise, socialization, and some stress reduction practices. If your depression is severe, professional help may be needed. I regard anti-depressant medications as a very last resort, but they can be life savers for some people.